First script reading for SBS drama series “Fates & Furies” took place September 11, 2018 at SBS Studio in Tanhyun, Ilsan, South Korea. 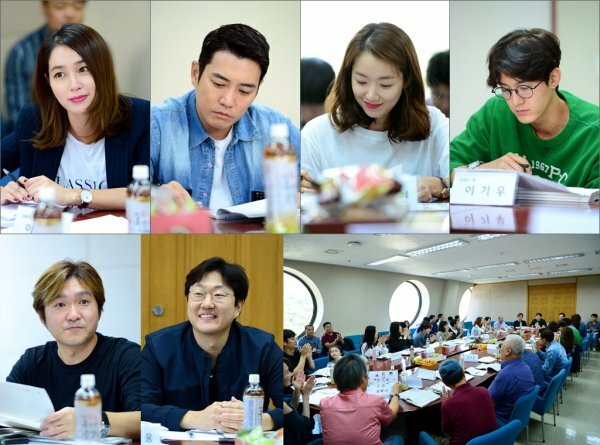 The first script reading included Lee Min-Jung, Joo Sang-Wook, So E-Hyun, Lee Ki-Woo and ex-‘After School’ member Lizzy. The drama series follows Goo Hae-Ra (Lee Min-Jung) as she pursues a wealthy man (Joo Sang-Wook) to escape her bleak situation. “Fates & Furies” first airs December 1, 2018 in South Korea.